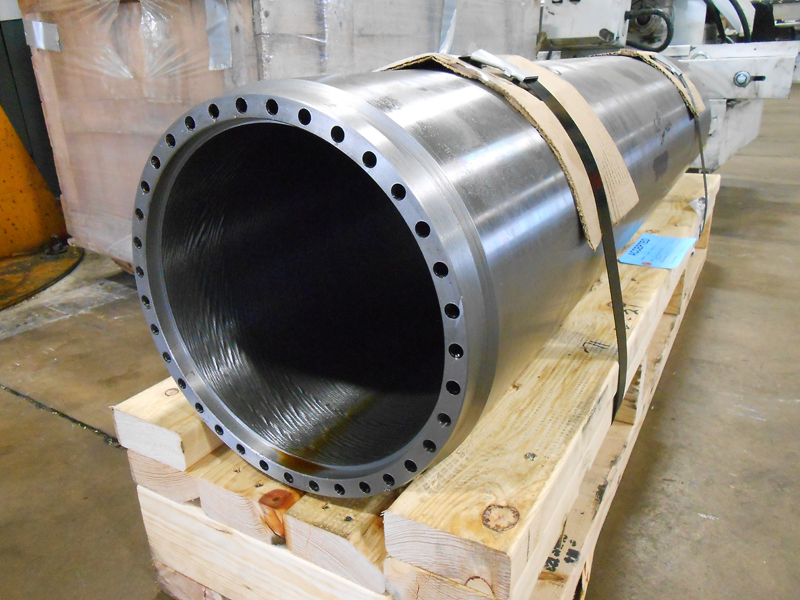 At Midwest Precision Manufacturing, we are capable of drilling bolt circle holes on large scale fabrications while holding precision tolerances. 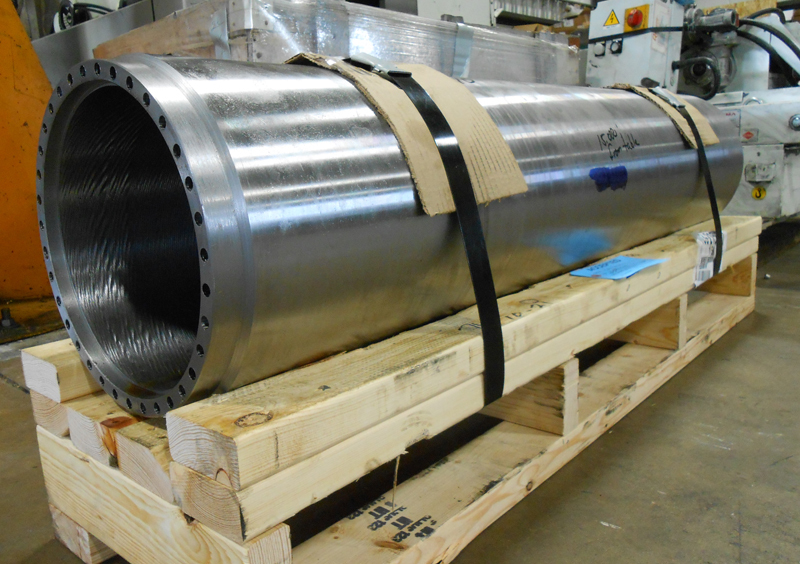 For the project highlighted here, 35 holes were drilled around the perimeter of a hot rolled steel cooling roll that is used in the paper industry. 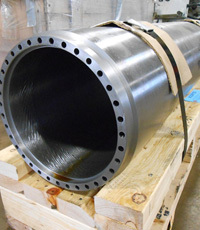 The bolt holes are 0.375" in diameter and were drilled through the 80" length of the roll, holding tolerances as tight as ±0.001". Dimensional and visual inspections were performed throughout the drilling process to verify conformance to customer specifications, which included a surface finish of 64 Ra or finer. 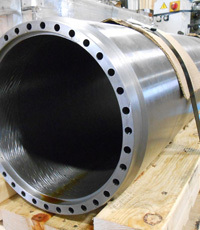 We are capable of employing a number of drilling methods as needed to meet a wide array of applications for customers in a variety of industries. 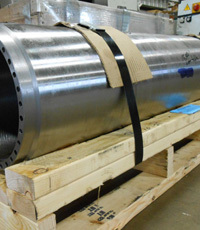 This project required the drilling of a single cooling roll and was completed in one week. 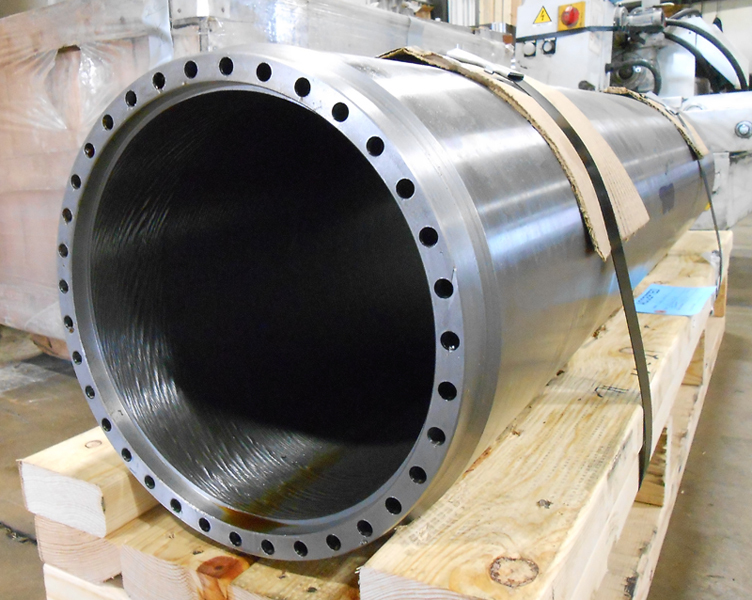 We can provide drilling of single piece components as well as production parts, within the specified lead time. For additional details regarding this custom deep hole drilling project, see the table below, or contact us directly. (35) Ø 0.375" Holes Thru. 80"